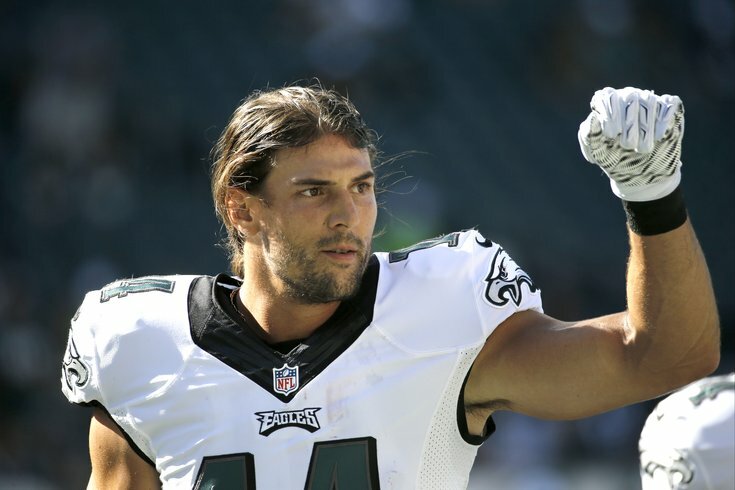 Riley Cooper shows how much value he had to the Eagles. • Declining: In 2013 and 2014, Austin was a shell of his former self. In 2013, his final season with the Cowboys, he had 24 catches. His long reception was 20 yards. In the last two seasons, he had two touchdown receptions. He hasn't had a reception of 40+ yards since 2012, and hasn't had a 1000-yard season since 2010. • Injury prone: He appeared on the injury report 26 times from 2011-2013, and was lost for the season in 2014 after injuring his kidney. • Special teams experience: Austin hadn't played special teams since 2009. You're playing special teams if you're a #4 or #5 receiver in the NFL, especially for a coach in Chip Kelly who puts such a heavy emphasis on special teams. As the above graphic shows, Austin is the 64th highest paid WR in the NFL this season. That's #3 WR-type money for a player who is easily the worst of the Eagles' wide receivers. For reasons that I cannot comprehend, Austin not only remains in the league, but the Eagles have played him on 355 of their offensive snaps this season, which is second-most among receivers on the team. And many of those snaps have come in key situations. For example, on four occasions against the Jets, the Eagles threw incomplete passes to Austin on third down. Four total targets, no catches. The Eagles would have honestly been better served to just save the fans the angst of worrying about an interception and taken a knee instead. Against Carolina, for some reason the Eagles went to Austin on fourth down of their final drive. Drop. • He had a drop on a deep ball down the right sideline that cost the Eagles points. • He had an incomplete pass on what should have been a touchdown in the back of the end zone when he could not get a second foot in bounds. I'll stop short of calling that a routine catch, but certainly it is one that good receivers make. • At least on the two above plays, he was aware that the ball might be coming his way. On Mark Sanchez's interception in the end zone, Austin seemed to have no idea the ball was coming. If he had he might have actually caught it himself, instead of having it whizz by his head into the arms of Dolphins safety Rashad Jones. • And then again, Austin was not looking when he was running uncovered over the middle of the field and Sanchez threw a ball his way for an incompletion that might have otherwise been a big gain. On the season, Austin has been targeted 28 times. He has 12 catches for 212 yards, and a TD. He will not be an Eagle in 2016, and shouldn't be one for the remainder of 2015. This upcoming offseason, the Eagles can save $2.9 million if they cut their losses with him, which is the no-braineriest of no-brainers from the perspective of the fan base, but from the perspective of the coaching staff, Eagles fans may be reminded that Cooper is the best blocker in the history of the Universe. "I don't think Coop was targeted, so sometimes that's not the receiver's fault in terms of where his production is; he can't do anything except run his routes and run his plays," said Chip Kelly to reporters yesterday. OK, well... "Coop" not only wasn't targeted with a pass last Sunday against the Dolphins, he hasn't been targeted with one since October 19th. In that sense, at least he's not actively killing the offense like Miles Austin is by attracting passes that are either going to be incomplete or intercepted. So Cooper has that going for him. Which is nice. But maybe the Eagles should just put a sixth offensive lineman in there instead? Or maybe Air Bud? I'm not even kidding. Air Bud would be better than what Riley Cooper and Miles Austin have given the Eagles so far this season. At a minimum, he'd cause a distraction to the opposing defense. Or maybe he could get a cornerback to slip in poop.